This entry was posted in Corpus Christi, Holy Eucharist on June 3, 2018 by damselofthefaith. The Consecration is the greatest miracle in the Church. God created out of nothing, but the priest makes nothing into Something. This entry was posted in Holy Eucharist, Uncategorized and tagged Holy Eucharist on October 13, 2017 by damselofthefaith. One of my favorite poems of all time is “Keep them, Dearest Lord,” a beautiful poem written for priests. I don’t know who wrote it. If anyone does, please comment below and let me know. I’ve always had a great devotion to the Priesthood and praying for priests. My trinity of devotions include the Holy Eucharist, the Holy Sacrifice of the Mass and the Catholic Priesthood, for these three are equally the foundation of the Church. Without one, we cannot have the other and without all three, the Church would lost her supernaturality. 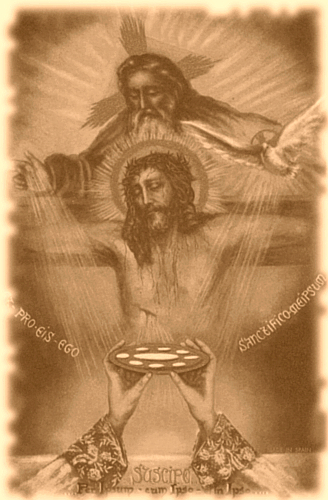 Hence, why satan has attacked these three so viciously and continues to do, for He knows that Christ gave the Church the means of salvation through the Priest, who offers the Holy Sacrifice of the Mass for us, the Victim and fruit of that Sacrifice being the Holy Eucharist, the Body, Blood, Soul and Divinity of Jesus Christ. 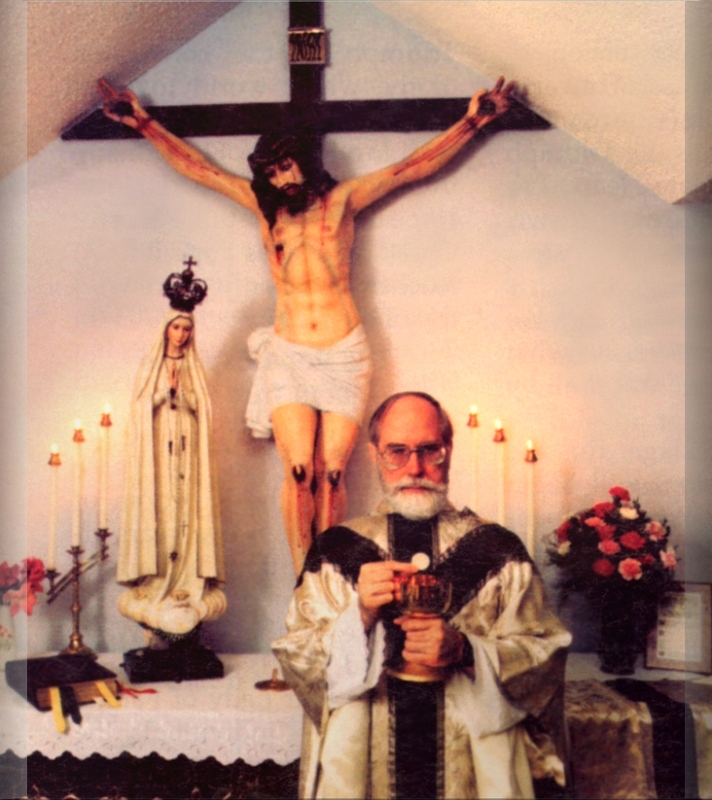 Let us love our priests and pray for them. I dedicate this poem to my own pastor, Fr. 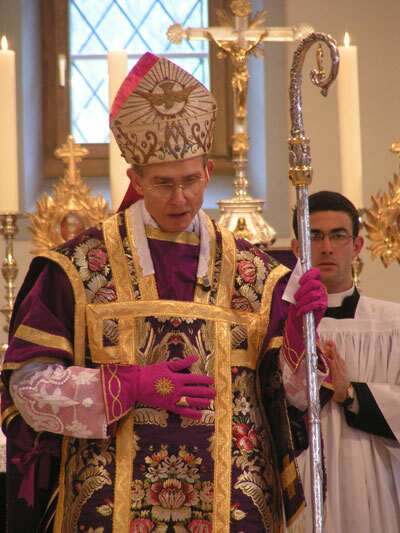 Greig Gonzalez, SSPX. May God love and bless him, for his untiring love and dedication to his flock. Mary, Mother of Priests, pray for Fr. Gonzalez and strengthen him! 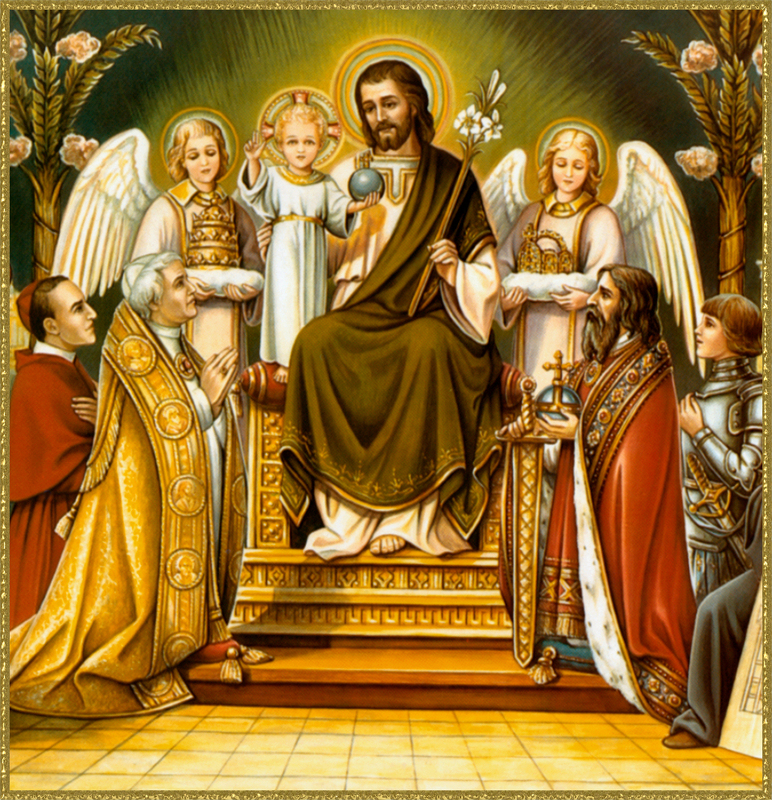 St. John Vianney, St. John Bosco and all patrons of priests, intercede for the Priests of God! This entry was posted in Holy Eucharist, Holy Sacrifice of the Mass, Priesthood, SSPX and tagged Eucharist, Holy Mass, Priesthood, SSPX on January 21, 2017 by damselofthefaith. Today is the glorious Feast of Corpus Christi, the only solemnity dedicated exclusively to the belief in the Body and Blood of Christ, the Real Presence of Christ. The Feast originates from an apparition of Our Lord to St. Juliana of Liege in 1208, a Norbertine who longed for a Feast dedicated exclusively to the Holy Eucharist. The Feast was officially commissioned in 1254 and the Mass and Office were composed by St. Thomas Aquinas. Oftentimes, a Procession accompanies this most glorious of Feasts, wherein the Blessed Sacrament is carried in procession, as a witness to our belief in the real presence of Our Lord in the Eucharist. Benediction and Exposition of the Blessed Sacrament is most edifying on this day. Our Lord deserves all the worship we poor souls can muster, not just on this day, but on every day of our lives, particularly at Holy Mass. We cannot receive Him if we have not worshipped Him first. The same reason which caused the Festival of the Holy Trinity, induced the Catholic Church to institute the festival of Corpus Christi, which we celebrate today. She requires that we shall confess and renew today the faith which we have in the Blessed Eucharist, and that we bestow all possible honors upon the Most Holy Sacrament and give due thanks to our Saviour for its institution. In order that this just requirement of the Church may be more fully complied with, we shall here give some explanation of the above reasons. 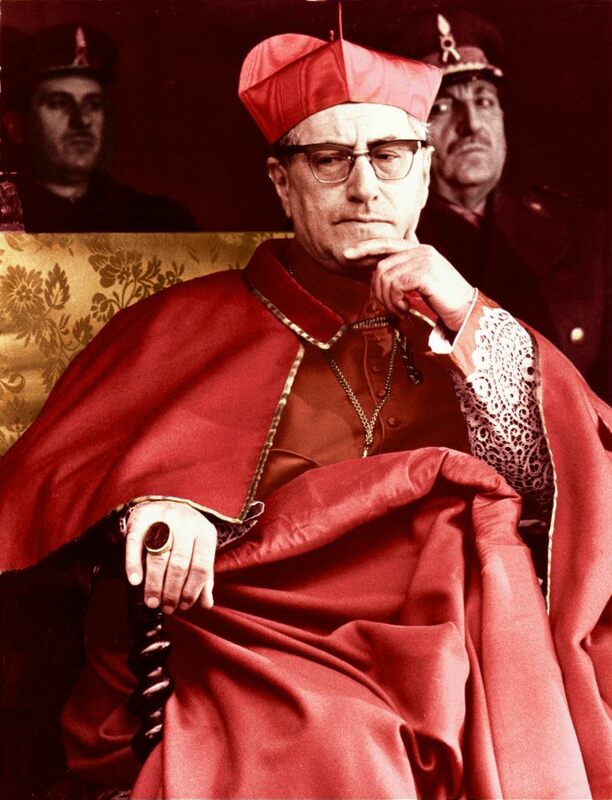 In regard to the first reason, the following are the facts, which the church especially desires to call to our memory by this joyous festival. 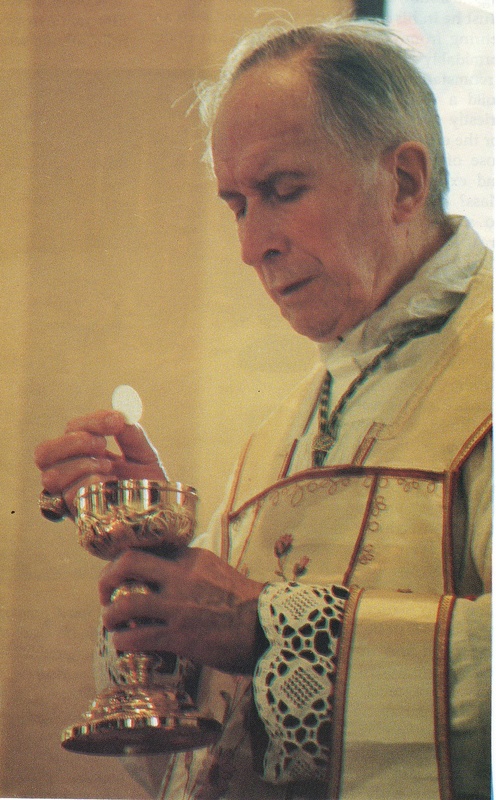 Our dear Saviour, on the same evening when His bitter suffering for the redemption of man began, instituted the Blessed Eucharist, out of His immeasurable love for us. In it He is truly and substantially present with body and soul, with flesh and blood, as God and Man, under the form of bread and wine. Under the form of bread, not only His holy body, but also His holy blood is present; because a living body cannot exist without blood. 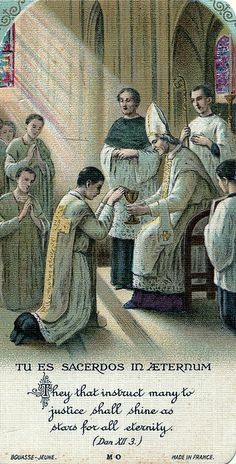 Hence he receives it, who partakes of holy communion only in the form of bread, not less than he who receives it in two forms, as the priests, when they say holy Mass. The latter partake of holy communion under two forms, in order that the passion and death of our Saviour, during which His blood flowed from His wounds, might be more vividly represented. From the moment that the priest speaks the prescribed holy words, in the name of Christ, over the bread and wine, the Lord is present in the Holy Sacrament. Bread and wine change their substance miraculously into the true body and blood of the Saviour, in such a manner, that all that remains of the bread and wine is their form, color and taste. The presence of Christ lasts so long as the bread and the wine are unconsumed. It is further to be considered that our Lord is present in a small host as well as in a large one, as well in a portion of a host as in a whole one. Hence he who receives an entire host, has no more than he who receives only a part of one, the latter has just as much as the former. The same is the case with those who by inadvertence receive more than one Host, while others receive only one. It is only to be remarked that in case a consecrated Host is broken or divided, the holy body of the Saviour is not broken nor divided, but the form of the bread only: even as Christ will not again die, so his holy body can neither be broken nor divided. All these points are articles of faith in the Catholic Church, and are explained in sermons, in religious instructions and in many books, and are especially demonstrated by the word of God. All true Catholics believe this without any doubt, as the Almighty, who is eternal and infallible truth, has revealed it, and as that Church assures us, which on account of the assistance of the Holy Ghost, promised to her by Christ, cannot err. Those who are not Catholics teach in many points quite differently. They especially reject the real presence of Christ in the form of bread and wine, and also the transubstantiation of these latter into the real body and blood of the Lord. They maintain it to be impossible that bread and wine can be changed into the body and blood of Christ, or that Christ can be really present at the same time, in so many different places, in so small a compass as the holy Host. If we ask them why they consider it impossible, they answer: “because we cannot conceive, cannot comprehend, how it can be possible.” But if they believe impossible all which they cannot understand, they must, besides many other articles of faith, reject the creation of the world; the humanity and resurrection of Christ; the Holy Trinity; because all these are just as inconceivable for the mind of man, as the transubstantiation of the bread and wine and the substantial presence of the Lord in the Blessed Sacrament. It matters not in articles of faith whether we are able to comprehend them or not so long as they are revealed by God. The same is taught by all the Holy Fathers. They also refer to many occurrences in nature, which, although we cannot comprehend them, nevertheless take place. They speak of the creation of the world, and say, if we believe that God created a whole world out of nothing, how can we hesitate to believe that He can change bread and wine, or that He can be present in that form? The water at Cana was changed into wine: why then should He not possess the power to transform bread and wine into His holy body and blood? Truly, whoever believes that God is omnipotent, infallible and infinite, cannot doubt this article of faith. 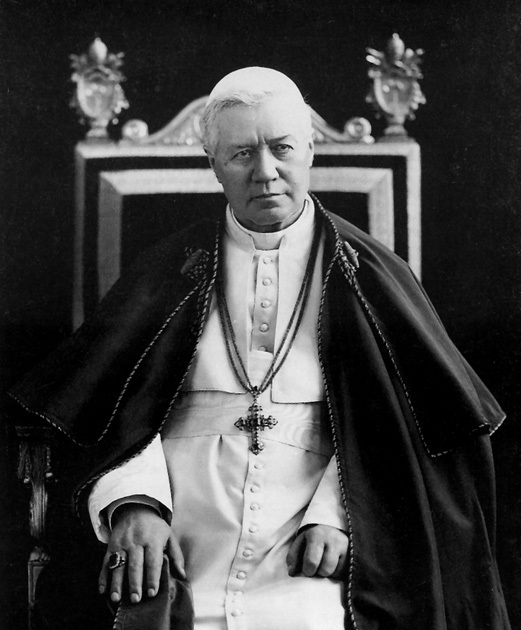 We Catholics believe so, and hence we cannot doubt any of the above mentioned points of the true faith. This faith we this day renew and confess publicly. The Catholic Church requires it, and has for this reason instituted today’s Festival. She further demands that we unanimously, bestow today all possible honor upon the Blessed Sacrament, and that we praise and glorify with all the powers of our soul, the Saviour therein concealed. And is not this justly demanded of us? of us who firmly believe that our Lord is present in His double nature as God and as man, in the Blessed Sacrament? All honor, all praise belongs to the true God. King David, in the Old Testament, bestowed great honor upon the Ark of the Covenant, in which a part of the manna was preserved, as Holy Writ relates. The manna of the Old Testament was only a feeble type of our Most Holy Sacrament, as Christ Himself teaches: hence we owe so much greater honor to it. The wise man said, many thousand years ago: “Glorify the Lord, as much as you can . . . Bless ye the Lord, exalt Him as much as you can.” (Eccl. xliii.) As we are assured by our faith that our God and Lord is truly and substantially present in the Blessed Sacrament, it is natural that we honor, praise and glorify Him with all our strength. We are bound to do this not merely today, but during the whole year. Who is there, however, that can say of himself that he has not sometimes been remiss in this sacred duty? 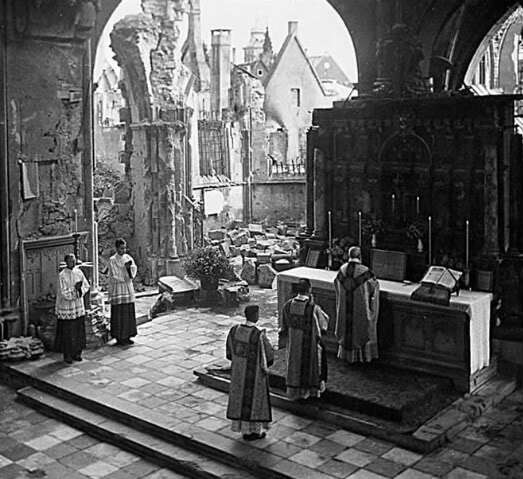 Hence the Holy Church requires that we, remembering our duty this day, kindle anew our zeal, if it has abated, and thus with united hearts, honor, praise and exalt the Most Holy Sacrament. For this purpose she has also ordained that the Blessed Sacrament shall be carried through the streets in solemn processions. Everything connected with this ceremony is intended to honor our Lord in every possible manner. The Church tries, by this public manifestation, to atone somewhat for the many and great wrongs to which the Blessed Sacrament is so frequently subjected by heretics as well as by Catholics. One cannot, without horror, think how this sacred mystery has been assailed and dishonored in centuries gone by, and down to our days. A pious Christian dares not even relate the wrongs done to it, which are great enough to deserve hell. And what does our Saviour, concealed in the Blessed Sacrament, suffer from those who believe in his presence? 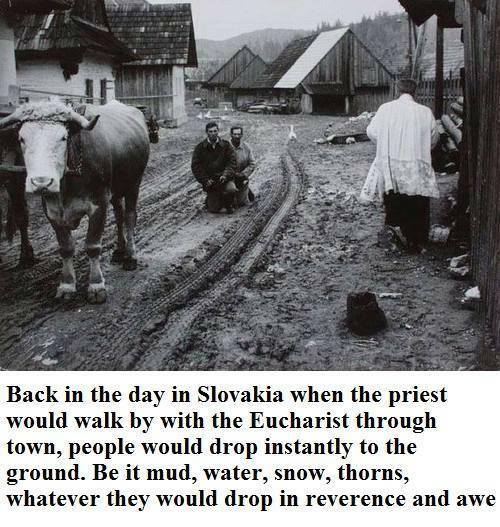 The irreverence and levity with which many Christians conduct themselves in presence of the Blessed Eucharist, tend to dishonor and disgrace our Saviour. The unworthy communions which unhappily take place, offend Him in a most grievous manner. The misuse of the body, especially of the tongue and mouth, which are so often sanctified by partaking of the true body and blood of Christ, cannot but excite the wrath of the Lord. 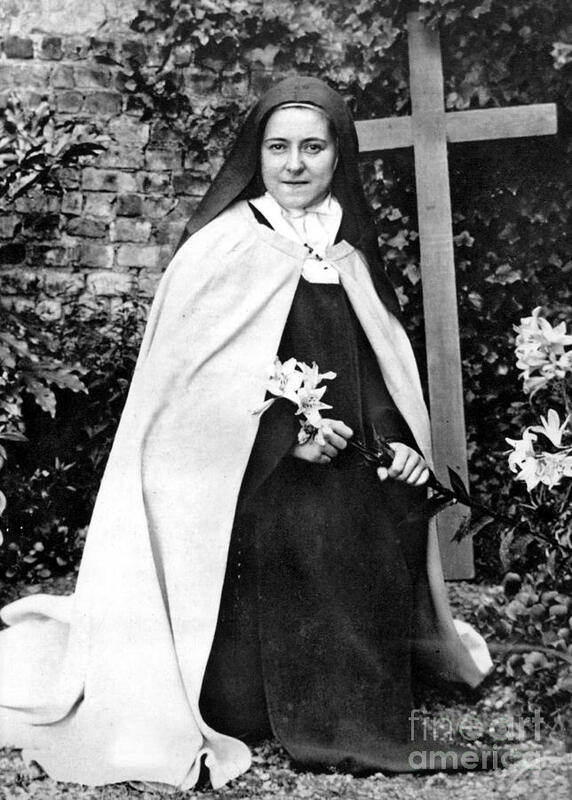 For these, as well as other wrongs done to the Blessed Sacrament, the Church of Christ seeks to make amends by these solemn processions, and by all the other pious exercises she has ordained for this festival and during the whole octave. Hence, every pious Christian should be solicitous to conform to the ordinances of the Church, and not only assist in the procession and all other devout exercises, but also endeavour to contribute to render them what the Church desires. We will still add in a few words, what the true Church further demands of us. We today give humble thanks to the Lord for the institution of the Blessed Eucharist. This is no more than our duty: for if we are obliged to thank God for the smallest benefit He confers upon us, we are surely under much greater obligation when the benefit is great and of especial importance. Who can tell, who can comprehend the greatness of the benefit, which Christ our Saviour and Lord bestowed upon us by the institution of the Blessed Eucharist. It is as great as it is unfathomable: great as He who devised it; as Christ our Lord, true God and man, the King of all Kings, the Lord of all who reign. Great and inconceivable is the miracle by which the substance of bread and wine is changed into the substance of the body and blood of Christ, and the miraculous presence of the Lord in the form of bread and wine. St. Thomas of Aquinas calls the Blessed Sacrament a miracle, and the greatest that Christ ever wrought. Inexpressibly great must have been the love which induced the Saviour not only to institute it at the time He chose for it, namely, the evening before His Passion. Since the world was created, there has never been found a parent willing to nourish his children with his own body, much as he may have loved them. Such excess of love Christ alone manifested. “Having loved His own, He loved them unto the end,” writes St. John (John, xiii.). 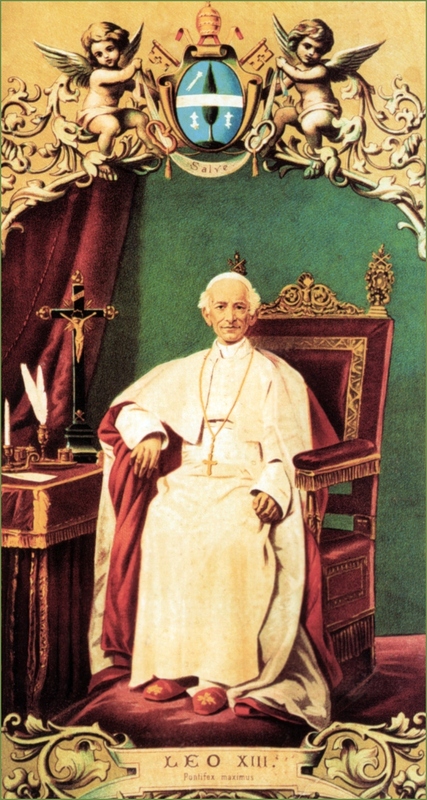 Already had He loved them and had given them many indubitable proofs of His love; but at the end of His life, He gave them one which surpassed all others, namely, having nourished them with His own body and blood, He instituted a sacrament, by means of which all the faithful might partake of this divine food. And when did He institute this? St. Paul writes: “In the night when He was delivered into the hands of the embittered Jews.” The last night of His life was approaching, and the time when his enemies would seize Him, scourge Him most cruelly, crown Him with thorns, and nail Him like the greatest malefactor to the Cross. All this was known to the Lord. He knew also the wrong which would be done to Him in the Blessed Eucharist to the end of time: and yet this was not sufficient to prevent Him from instituting it. Truly, a love which surpasses all the bounds, not only of human, but angelic understanding. Love seeks to be always with the loved ones and to enjoy their presence. Jesus Christ, who out of love to us had descended from heaven upon earth, had remained with us for 33 years: and it was the will of His heavenly Father that, after having accomplished our Redemption, He should return to heaven. This also took place; but His infinite love for us found a means by which He will remain with us in the world until the end of time. This means is the Blessed Sacrament, which He instituted before the commencement of His bitter passion. In it He is God and Man, as He is in heaven, truly and substantially present in every Church where the Blessed Sacrament is kept. 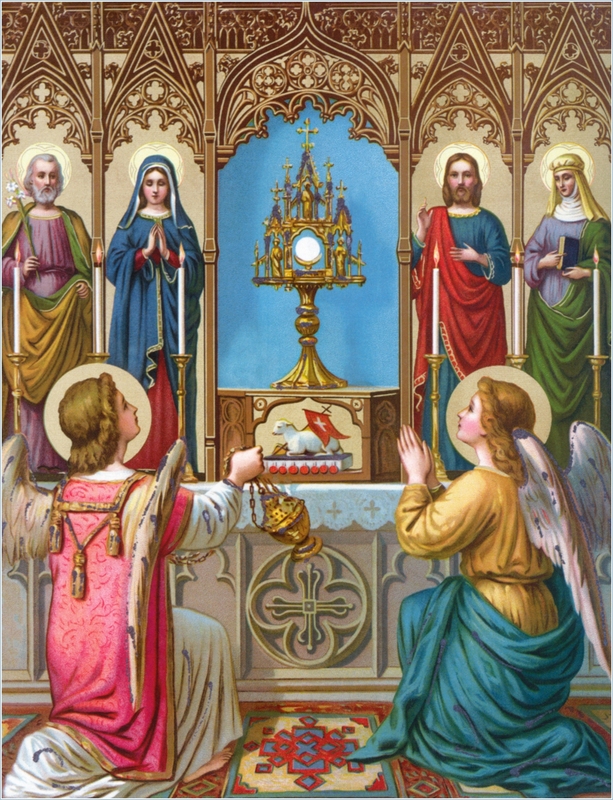 By this same blessed Sacrament, He unites Himself most closely with us, when we partake of it, because He gives Himself to us as food, and nourishment. And this union with us is, according to the opinion of the Holy Fathers, a still greater proof of His love for us, than His presence in the Sacrament. It is the property of love to unite closely those who love one another: can there be a more intimate union than ours is with Christ, by virtue of the Holy Sacrament? When Christ became man, He united His divine nature, in an incomprehensible manner, with humanity. When we partake of the Blessed Eucharist, He unites His divine and human natures with our nature, although not in the same manner as when He became Man. “He that eateth my flesh and drinketh my blood,” says He, “abideth in me, and I in him.” (John, vi.) How wonderful a union! How incomprehensibly great a love! Besides the love which induced our Lord to institute the Most Holy Sacrament, the end for which He instituted it, and with which we have already become partly acquainted, is also great and most excellent. Our adorable Saviour would leave us in it an eternal memorial of His love and of His bitter passion and death, as His own words make clear to us: “Do this for a commemoration of me.” (Luke, xxn.) He desired to remain constantly with us, in order that we might, in all our cares, go to Him with greater confidence, and opening our hearts to Him, request and receive from Him, comfort, strength and help. It was His wish that His holy flesh and blood should nourish and strengthen our souls. This was the intention, the end and aim of our Lord in instituting the Most Holy Eucharist. As the religion He founded is holy and most perfect, and as no true religion can exist without sacrifice, He would leave us for evermore the most divine sacrifice, namely, His own flesh and blood that we might sacrifice it in holy Mass in honor of the Majesty of God, as a thanks-offering for all graces and benefits bestowed upon us; for the pardon of our sins, for the obtaining of new grace, and for the comfort of all, living and dead. How high, how admirable an end and aim! 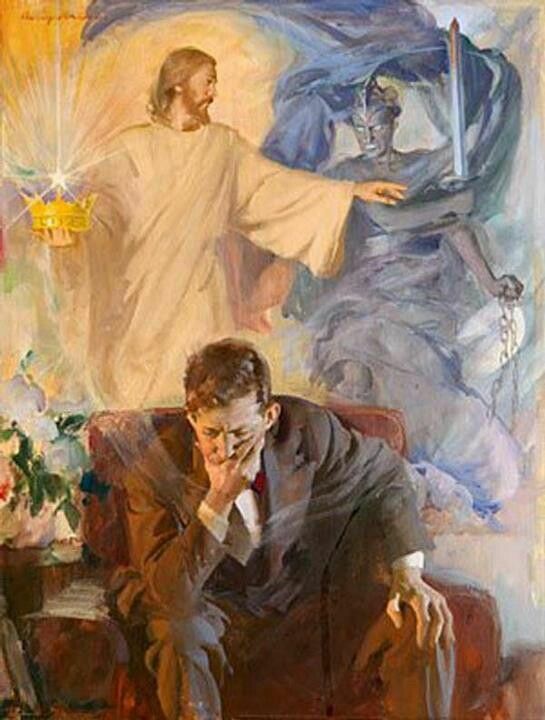 Had Christ been willing to remain among us, in the Blessed Eucharist, only in one place on earth, in order that we might there lay our burdens more trustingly at His feet, He would then have conferred on us a favor, which we could never sufficiently esteem, and for which we could never be sufficiently thankful. How much greater, therefore, is the grace that He dwells among us in so many different places of the world, to nourish our souls and to serve as sacrifice, and this not once only, but as often as we desire. How inexpressibly great a favor! How wonderful an invention of truly Divine love! Other teachers say, that Christ instituted the Blessed Sacrament under the form of a bodily food, that we might more easily perceive its effects. For, as bodily food preserves the life of the body, renews strength, refreshes man: thus is the spiritual life of the soul preserved by the holy Eucharist, the soul is strengthened, and all the inner faculties of man inflamed with new zeal in the service of the Almighty. The true Church has not hesitated, for causes already mentioned, to call it a pledge of future glory, so that those who worthily partake of Holy Communion, receive, so to speak, an assurance of eternal salvation. I say, who partake worthily of the Holy Communion; for, one who receives it when not in the state of grace, will not only fail to share in the benefits it imparts, but becomes guilty of eternal punishment, according to the words of St. Paul: “For he that eateth and drinketh unworthily, eateth and drinketh judgment to himself” (i Cor. xi.) that is, as St. Chrysostom and other holy fathers teach, damnation. Whoever reflects on what we have said, cannot but come to the conclusion, that the Lord, by instituting the Blessed Eucharist, has bestowed upon us an inexpressibly great gift. Hence, it is only our duty to give Him our most humble thanks, to which effect the Church has ordained today’s festival, demanding of us to give thanks to the Lord for the institution of this Blessed Gift. So much for the reason which gave rise to the ordinance of the festival of Corpus Christi. Only one point must I yet touch upon, to confirm the true faith and at the same time give an instruction. The non-Catholics maintain that we act wrongly in not administering the Blessed Sacrament in two forms, as Christ our Lord instituted it and commanded it to be partaken of in such a manner. To this I answer, Luther himself more than once said that the real Blessed Eucharist was to be found in the Catholic Church; and that it mattered not whether it is administered under one form or under two. It is true that Christ instituted it in two forms, but that He commands all to receive it in two forms is false. From the act of the institution of the Eucharist this cannot be proved: for, Christ instituted and adminstered it after washing his disciples’ feet. 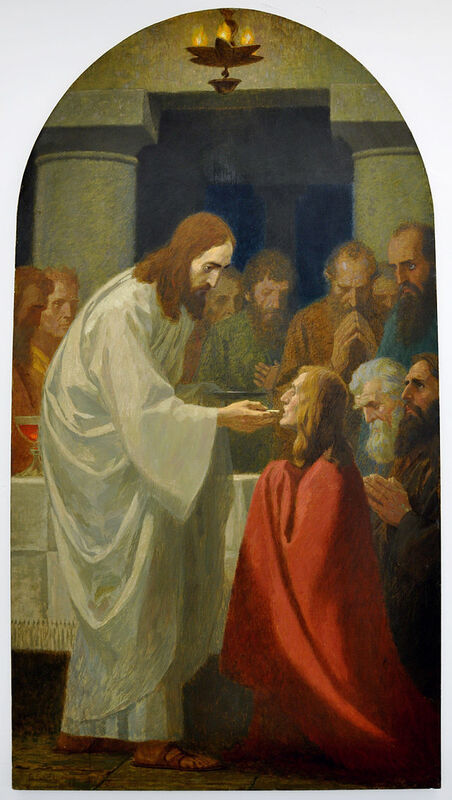 He gave it only to the men, the strong, and this after they had partaken of supper, and yet the non-Catholics do not say that it is a commandment to wash the feet before Holy Communion, or administer it only to men, the strong, and after supper. 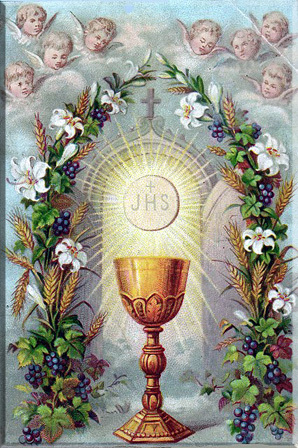 The non-Catholics may rest assured that we are more favored when we partake of Holy Communion in one form than they, even if they received it in a hundred: for we receive under one form really the flesh and blood of Christ, while they, under two forms, neither partake of the Saviour’s holy flesh nor of His blood, because they possess no priests to whom Christ gave power to consecrate. You have considered the aim and end of today’s festival and also the reasons that gave rise to it: hence, prepare your devotions accordingly. First, exercise yourself today in the virtue of faith. Confess to God and the whole world that you believe everything that God the Lord has revealed of the Blessed Eucharist, and which His true Church explains to you; and that you will believe it for no other reason than because the infallible truth has revealed it. Confess openly, that you willingly give your reason up in the service of the Almighty. Oppose, in advance, all temptations by which the Evil One might endanger the peace of your soul, during your life, or while on your death-bed in regard to the Blessed Eucharist or other articles of faith. Manifest openly the faith which you bear in your heart and be not ashamed of it in the presence of heretics. Hence, accompany the procession today with due reverence, and assist, today and always, in all public devotions ordained in honor of the Holy Eucharist. In the churches where the Blessed Sacrament is kept, show your faith in the presence of the Lord by your modesty and reverence. Whoever is wanting in this is wanting also in faith. Secondly, endeavor especially today to honor, with every power of your soul, the Most Holy Sacrament, but let not your devotion cease with this day: continue in it as long as your life lasts. Accompany the Holy Eucharist devoutly when it is carried in processions; frequently visit the churches where it is kept; worship it in deepest humility. Assist at Holy Mass, if possible, daily. Receive the Holy Communion as often as your confessor will permit; but always with a heart purified and adorned by exercises of virtue. Take time for devotions before and after Holy Communion. Guard yourself in the presence of the Holy Sacrament, from everything that might be displeasing to Him who is concealed in it: as, unrestrained roving of the mind and eyes; the volubility of the tongue; irreverent manner, &c. Take care that you do not, by using indecent language, soil your tongue, which has been purified by partaking of the Holy Sacrament. Before all things, however, take care that you do not receive the Holy Eucharist while a mortal sin weighs upon your soul, for this would be the greatest insult, the most frightful disgrace to your loving Jesus, and to you it might bring eternal damnation. Beg your Saviour also to pardon every irreverence of which during your past life, you have been guilty in presence of the Blessed Sacrament, or in your Communions. To this end, offer to Him everything that is done in the whole world today and during the entire Octave, to His honor and glory, and make the firm resolution to amend all your faults by redoubled zeal in honoring the holy Sacrament. 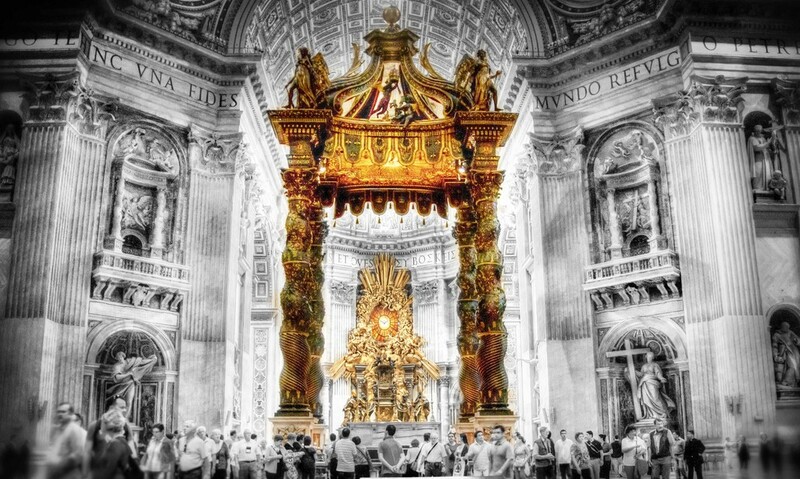 O My Lord and King, hidden in this Sacrament! Since Thou dost invite me to converse with Thee, I will open my heart with confidence, and speak. O my Jesus, ardent lover of souls-! I know too well the injustice and ingratitude of men towards Thee: Thou lovest them, and they do not love Thee: Thou dost confer benefits on them, and they return Thee insults: Thou wouldst have them hear Thy voice, and they will not listen: Thou dost offer them graces, and they refuse them. Ah, my Jesus, I too have been once among the number of these ungrateful souls. O my God, it is only too true. But I desire to amend, and I wish to compensate for the insults I have done Thee, by doing all I can to please Thee for the remainder of my life. Tell me, O Lord, what Thou dost require of me. I will do it without the least reserve. Make known to me Thy will by the way of holy obedience, and I hope to accomplish it. My God, I firmly promise never to leave undone any act which I know to be agreeable to Thee, although the performance of it should cost me the loss of all things, of relations, friends, character, health, and even life itself. Let me lose all, if only I may do Thy will. Happy loss, when all is sacrificed to content Thy Heart, O God of my soul! I love Thee, O sovereign Good, above all goods worthy of my love, and in loving Thee I unite my feeble heart with the hearts of all the Seraphim. I unite it with the heart of Mary, and with the Heart of Jesus. I love Thee with my whole soul; I wish to love Thee alone, now and for ever. Amem. 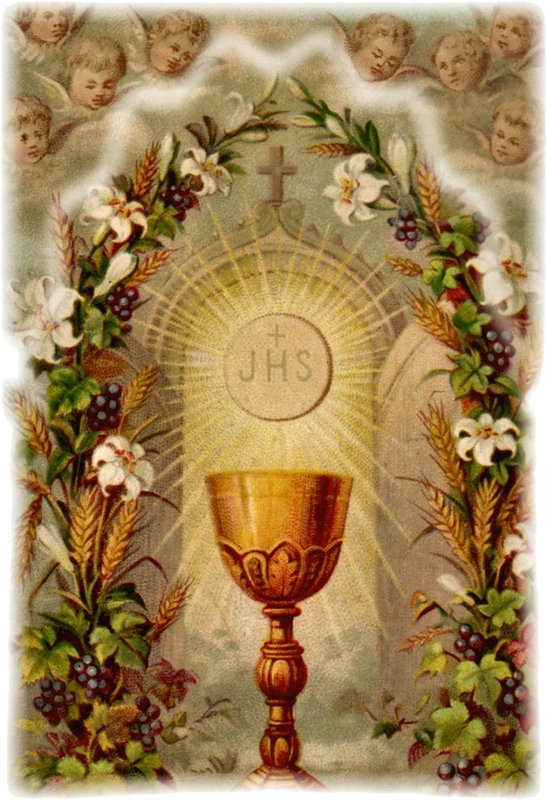 Almighty and eternal God, I approach to the sacrament of Thy only-begotten Son, our Lord Jesus Christ. As a sick man I approach the physician of life; as a man unclean, I come to the fountain of mercy; blind, to the light of eternal brightness; poor and needy , to the Lord of heaven and earth. I beseech Thee, therefore, in Thy boundless mercy, that Thou wouldst deign to heal my sickness, to wash away my defilements, to enlighten my blindness, to enrich my poverty, and to clothe my nakedness; that I may receive the Bread of angels, the King of kings, the Lord of lords, with such reverence and humility, such contrition and faith, such purpose and intention, as may help the salvation of my soul. Finally, do not forget to make reparation for the sacrileges, crimes and outrages by which Our Lord in the Blessed Sacrament is offended in the Church. When people were Catholic, they knelt down when the King of the Universe, Almighty God, was passing by. Now, they argue to stand in front of Our Lord Jesus Christ and take him in their hands, to be trampled underfoot in His own Church. This MUST stop. No longer can sacrilege be allowed to happen. Our Lord is very patient with us, to not have afflicted the world with the worst chastisements upon us, which we most surely deserve for our sacrileges, crimes and ingratitude against Him. Is it any wonder that the Mother of God has come to earth to warn and help us? She holds back the arm of Her Son because She is merciful. With this being the glorious Feast of Corpus Christi, let us make reparation to Our Lord for the sacrileges committed against Him in the Church today. My God, My God, I love Thee in the Most Blessed Sacrament of the Altar. All praise and honor be given to the Blessed Sacrament in Heaven and Earth, now and forever. A Blessed Feast of Corpus Christi to all my readers! All praise, honor, glory and worship be to the Most Blessed Sacrament both now and forever! This entry was posted in Corpus Christi, Holy Eucharist and tagged Eucharist on May 26, 2016 by damselofthefaith. In light of the recent Apostolic Exhortation, Amoris Laetitia, it would be good to read the words of St. John Vianney on the gravity, horror and evil of sacrilegious Communions. This is what we’re faced with in the Church today. Kyrie Eleison! “Unworthy Communions are frequent. How many have the temerity to approach the holy table with sins hidden and disguised in confession! How many have not that sorrow which the good God wants from them, and preserve a secret willingness to fall back into sin, and do not put forth all their exertions to amend! How many do not avoid the occasions of sin when they can, or preserve enmity in their hearts even at the holy table! If you have ever been in these dispositions in approaching Holy Communion, you have committed a sacrilege — that horrible crime, on the malice of which we are going to meditate. 1. It outrages God more than all other mortal sins. It attacks the Person of Jesus Christ Himself, instead of scorning only His commandments, like other mortal sins. 2. Whoever communicates unworthily crucifies Jesus Christ in his heart. He submits Him to a death more ignominious and humiliating than that of the Cross. On the Cross, indeed, Jesus Christ died voluntarily and for our redemption; but here it is no longer so: He dies in spite of Himself, and His death, far from being to our advantage, as it was the first time, turns to our woe by bringing upon us all kinds of chastisements both in this world and the next. The death of Jesus Christ on Calvary was violent and painful, but at least all nature seemed to bear witness to His pain. The least sensible of creatures appeared to be affected by it, and thus wishful to share the Saviour’s sufferings. Here there is nothing of this: Jesus is insulted, outraged by a vile nothingness, and all keeps silence; everything appears insensible to His humiliations. May not this God of goodness justly complain, as on the tree of the Cross, that He is forsaken? My God, how can a Christian have the heart to go to the holy table with sin in his soul, there to put Jesus Christ to death? 3. Unworthy Communion is a more criminal profanation than that of the holy places. A pagan emperor, in hatred of Jesus Christ, placed infamous idols on Calvary and the holy sepulchre, and he believed that in doing this he could not carry further his fury against Jesus Christ. Ah! Great God! Was that anything to be compared with the unworthy communicant? No, no! It is no longer among dumb and senseless idols that he sets his God, but in the midst, alas, of infamous living passions, which are so many executioners who crucify his Saviour. Alas! What shall I say? That poor wretch unites the Holy of Holies to a prostitute soul, and sells him to iniquity. Yes, that poor wretch plunges his God into a raging Hell. Is it possible to conceive anything more dreadful? 4. Unworthy Communion is in certain respects a greater crime than the deicide of the Jews. Saint Paul tells us that if the Jews had known Jesus Christ as the Saviour they would never have put Him to suffering or death; but can you, my friend, be ignorant of Him Whom you are going to receive? If you do not bear it in mind, listen to the priest who cries aloud to you: Behold the Lamb of God; behold Him that taketh away the sins of the world.” He is holy and pure. If you are guilty, unhappy man, do not draw near; or else tremble, lest the thunders of Heaven be hurled upon your criminal head to punish you and cast your soul into Hell. This entry was posted in Church crisis, Holy Eucharist, Sermons, Uncategorized and tagged Crisis in the Church, Eucharist, Sermon on April 21, 2016 by damselofthefaith. The Sacred Triduum begins. Today Our Lord Jesus Christ gives us Himself in the Holy Eucharist by instituting the Holy Sacrifice of the Mass and the Catholic Priesthood to continue His saving work. For Our Lord, His Love was so great that it wasn’t enough that He died a most gruesome and agonizing death for our eternal salvation, He also left us His very Self under the appearances of bread and wine. 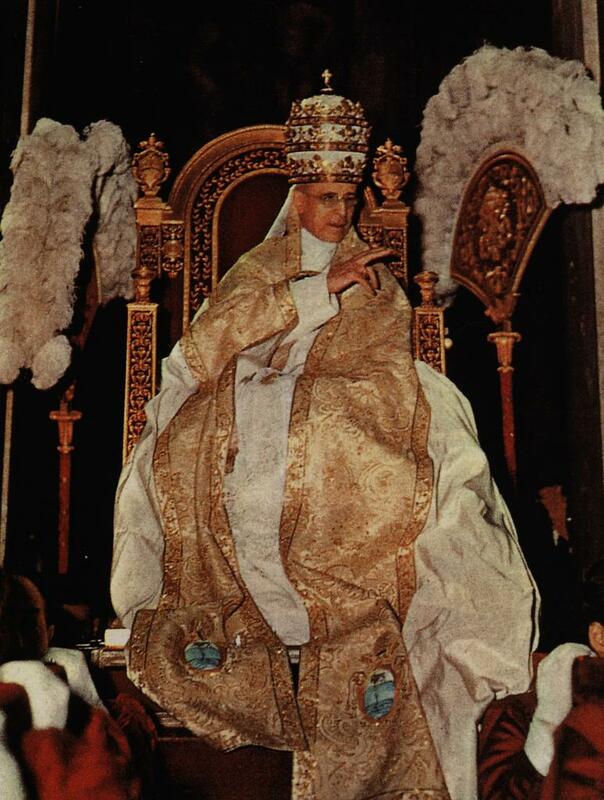 To represent Him on earth, He left us the Priests to continue His everlasting Priesthood and to act in His Name. Let us give thanks to God for His great Love for us! The Church observes the fast of Lent with the intention of preparing her children, in as perfect a manner as possible, for the glorious Easter-tide, that they may arise from a sinful, tepid, and imperfect state to a pure, holy, and even saintly life–a life most precious in the sight of the Lord. 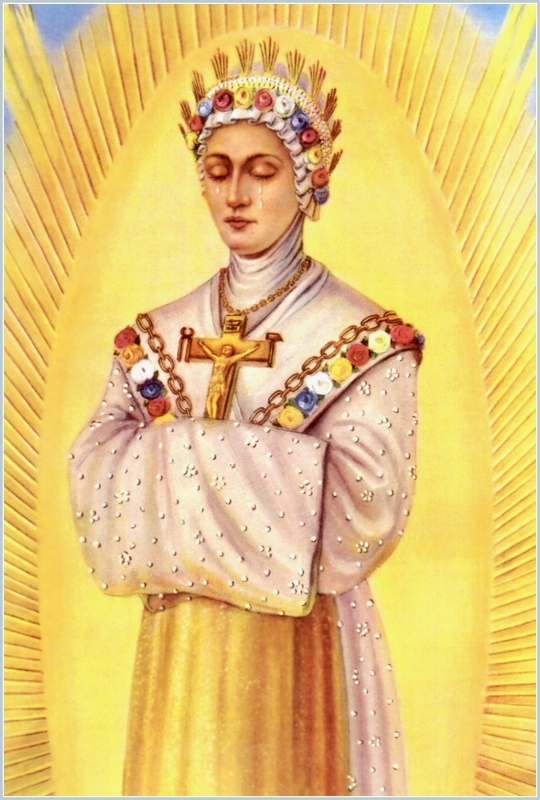 It is, therefore, the earnest wish of this most tender mother, that each of her children be penetrated with the greatest horror of sin, and, that every Christian, as he arises from the death of sin, shall also make fast the sepulcher of tepidity in which his soul has been for years, perhaps, buried. To this wish, and to the manner in which its realization can be accomplished, I will direct the attention of all whom I address during these three days of grace, asking them to consider with me the lives of three persons of whom Holy Scripture makes special mention in the history of the passion. The first of the three is Judas, as he sat with the Lord at the Last Supper. Let us follow him until we behold him commit the dreadful crime which sealed his eternal ruin. That the infinite merits of Christ may be effectually bestowed upon us, the first and most essential condition is, that we renounce sin entirely and forever, and thus, with hearts perfectly cleansed from the dust thereof, render ourselves worthy of the Table of the Lord, and thus, at this holy Easter-time, receive His precious Body and Blood, Soul and Divinity. A glance at Judas, the traitorous Apostle, will promote this condition of heart. He is a mirror in which we may behold sin in all its depravity; in which every sinner, especially if he be a member of our Holy Church, may see reflected his own image, disfigured and distorted by the malignity of the crimes he has committed. This will be made clear to you today,–the day, upon which, in ages long gone by, our loving Saviour bequeathed to us His sacred Body and Blood. O Mary, refuge of sinners, obtain for us a perfect knowledge of our sins and the grace of true repentance, that we may make a sincere confession of all our offenses against the law of God! I speak in the most holy name of Jesus, for the greater honor and glory of God! Several circumstances conspired to render the sin of Judas so enormous, the first one of which was his exalted position. 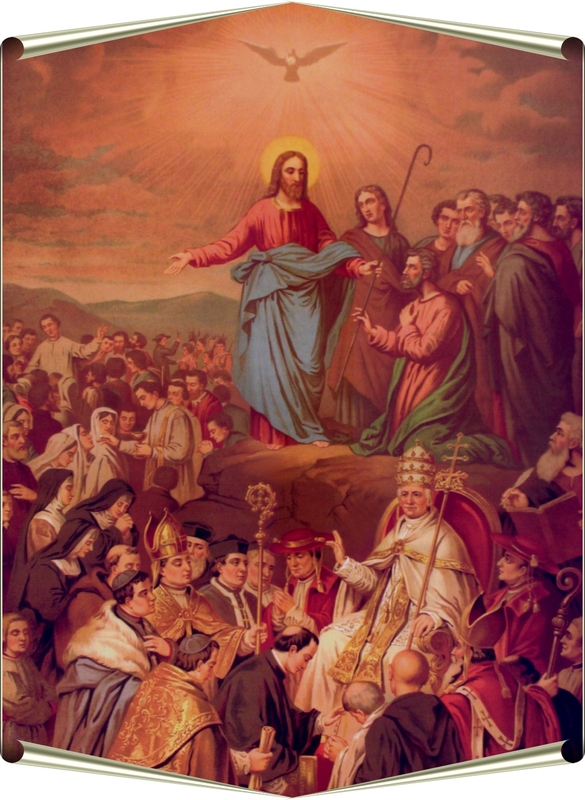 He had been selected from among the millions of men who had lived up to that period on earth, and who would live until the end of time, to be constantly in the society of Jesus. Oh, what an honor! In proportion to it, therefore, his fall was immeasurably great. 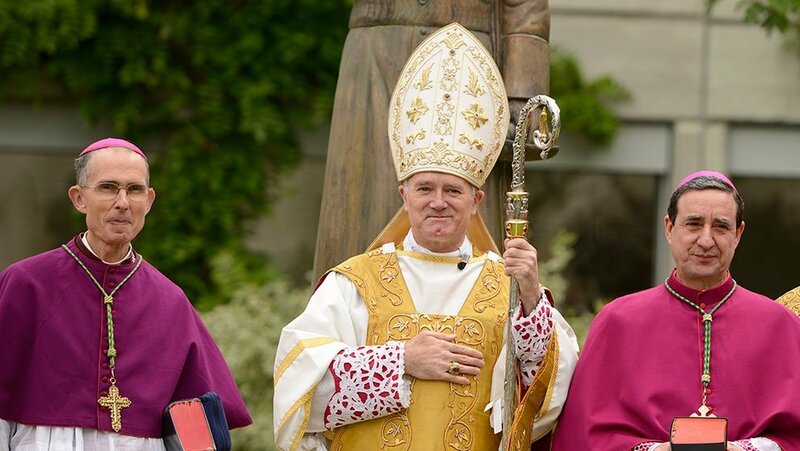 Another serious aggravation of his crime was his abuse of the graces bestowed upon him to fit him for his vocation as one of the twelve Apostles,–one of the favored few who, for three years and a half, enjoyed the privilege of walking with the Saviour of mankind. He had, therefore, before him the most perfect example of virtue; he heard all His admirable discourses; witnessed His many miracles; beheld even the body of Lazarus, already touched with the blight of decay, arise at the word of the Lord, and yet all this was without effect! Oh, what emptiness of heart! what an abuse of grace! For his sin there was no excuse! The next aggravating circumstance was the terrible indifference of Judas. Christ, in order to watch over and rescue the soul of this ungrateful sinner, endeavored to win his love and awaken his interest by selecting him from the twelve Apostles as the one to whom He entrusted the care of His own temporal affairs and those of the other Apostles. As a mark of confidence, He gave into his charge the alms they received to procure the necessities of life. This gave him occasion to speak often with the Blessed Virgin Mary, who followed Jesus, with other holy women, to minister to the wants of the little band. And yet Judas remained cold and indifferent to all these proofs of the searching love of Christ for him. Unhappy wretch! Thirdly, the sin of Judas was enormously aggravated by his astonishing obduracy. 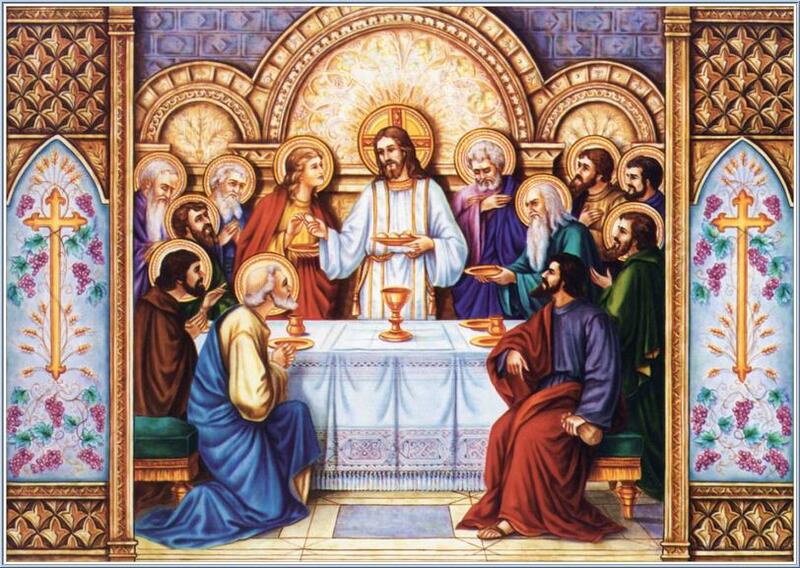 Even, though already guilty of the basest treason, he dared to place himself, with the rest of the Apostles, at the table of the Lord– the Last Supper! There Christ, elevating His voice, pronounced those awful words: “One of you is about to betray Me!” Awe-stricken, the disciples asked, in trembling tones: “Is it I, Lord?” Judas remained obdurate. And again the Son of God broke the deep silence, saying: “The Son of man indeed goeth, as it is written of Him: but woe to that man by whom He shall be betrayed; it were better for him if he had not been born.” Terrible sentence! Mighty enough to move the mountains to their very foundations, and to penetrate to the inmost recesses of the ocean caves! And still that obdurate heart remained untouched; nay, he even dared to ask: “Is it I?” Then the divine eyes of the dear Saviour rested with loving pity upon him, as He replied: “Thou hast said it!” Obdurate still, his heart closed to the softening influence of grace; he received the Body and Blood of Christ unworthily; and thus, for the first time, was the sacrilege of an unworthy communion committed, and in that moment Satan took possession of his heart! Fourthly, the crime of Judas was enormously aggravated by the incredible baseness of the treason. To betray his Lord and Master–his Saviour, who had given him such testimonials of His love–for thirty pieces of silver, the price demanded for slaughtering a head of cattle!–Can more unprecedented baseness be imagined? The enemies of Christ would gladly have paid him ten, fifty, a hundred times more for his most abominable treason had he but asked it. And with what bold assurance did he perpetrate the crime! He kissed the Saviour–the token of friendship to become the signal of treason! What greater hypocrisy can be imagined! The last and most terrible characteristic of the crime of Judas was that hardness of heart which, culminating in despair, condemned him on the very day of redemption, when Christ gave Himself a willing sacrifice to die that he and all sinners might enter eternal life. This miserable being, unable to bear the weight of his crime, perished by his own vile hand! Oh, horrible sin! Oh, incomprehensible atrocity! Yes, well might Christ declare that it were better for that man had he never been born. O sinner, you who, while listening to my voice, endure the gnawings of that worm which never dies– the reproaches of a guilty conscience–do you not shudder at the picture of that monster who, chosen of Christ to be one of His dearest friends, betrayed his Lord, and then put an end to his own wretched life? He longed to escape from the night of despair which darkened his wretched life; but the refuge he found was the deepest, blackest pit in the abyss of hell! Oh, that the tree upon which the despairing suicide ended his days, and the halter which deprived him of his life, were here before you, that you might witness the agony and pain of the faithless Apostle who betrayed the innocent Jesus! What a mirror of sin in all its blackest deformity! What a hideous reflection is therein presented! Sinner, do you not recognize it as your own? Do you not find it a perfect representation of your iniquitous soul? And O! may the grace of God so touch your hearts tonight that you repent, and tears entirely blot out that hideous image! Many of you have, perhaps, heard an anecdote connected with a celebrated painting of the “Last Supper.” One who had been a dear friend of the painter happened to offend him so deeply that the painter, in order to make him feel his wrath, in depicting the traitor Judas upon the canvass, gave to him the face of the friend whom he had loved so well. When the king, who had ordered the picture and was well aware of the recent enmity, first saw and examined it, he smiled, and, turning toward the knight, said: “Excellent, my lord; you are drawn to the very life!”–Yes, sinner, look at the picture of Judas; you, too, are drawn to the very life! What increased the malignity of the sin of this traitorous Apostle was the sublimity of his election. Sinner, Christ has also chosen you from among the multitude of nations who have lived and are living still in the darkness of infidelity and heresy! You are a Catholic! Glorious dignity to which you have been elevated through the infinite mercy of God; and yet, through your own choice, by the commission of mortal sin, you became a child of Satan. Oh, what a deep and damning fall! What also aggravated the guilt of Judas was his wanton abuse of the graces granted him by the Saviour, that he might live and die as became a worthy Apostle of the Lord. What a multitude of graces, O sinner, has not God bestowed upon you through your call to the true Church? With what frequent instructions and encouragement have you been favored! 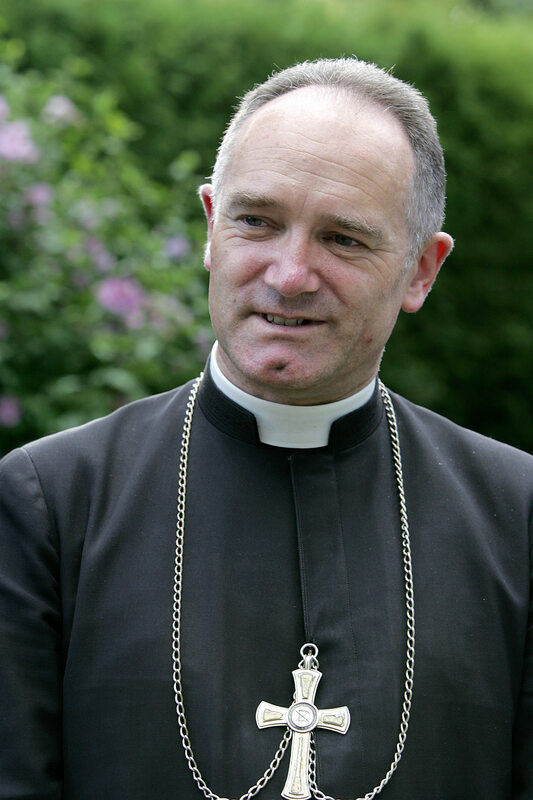 how many confessions and holy communions have been vouchsafed to you! how many holy masses have you heard! and yet these graces have yielded no fruit! Oh, fatal instability of the human heart! The treachery of Judas was aggravated by the manner in which he abused the grace of God. Imitate him not; but pause before it is too late! Judas was coldly indifferent to that love which impelled the Son of God to go in search of him, that He might win a return of love. Sinner, you know how mercifully Divine Providence has followed you! how lovingly the Saviour has gone in quest of you! Take courage from the very fact of your having come hither tonight. It is an effect of the endearing love of the Good Shepherd, who longs to bring you once more to the protecting shelter of His fold. Oh, hide no longer; but meet that loving Guardian, and let Him guide you home. What rendered the sin of Judas so terrible in its enormity was his shocking obduracy of heart. You, also, are guilty in this regard; for, although you have received all the graces with which he was favored, you have also been endowed with many which were never bestowed on him. Judge, therefore, whether his obduracy was greater than yours. Furthermore, Judas never had an opportunity of approaching the Sacrament of Penance. You enjoy that privilege; yet, perhaps, for years you have looked upon it with cold indifference, if not contempt. It may be that you have allowed years to pass without making a confession; or that, when you have attempted to blot out the sins of your life, you have but added to the long list of your crimes the damning guilt of sacrilege. And why, O sinner, is this? Because your heart refuses to give up its darling passions, and you continue to commit the same offenses as of yore. Judas did not, of himself, petition for the Holy Communion; while you have presumed to challenge the priest to open the tabernacle and place the Sacred Host upon your guilty tongue, that you may drag the Body of our Lord into the mire of your heart. When the agony of despair drove Judas to hang himself, he knew not of the prayer that went up that day from the Sacred Heart of Jesus on the cross: “Father, forgive!” Neither had he the example of the millions who, for nineteen centuries, have been guilty of grievous sin, yet repented and found grace, as you have ever before your eyes, O faithless child of the Church! Judas betrayed his Lord but once, and upon that very day the grace of God forsook him and he perished miserably, while for you Christ has waited for years; and oh, for His dear sake–for the love of Him who, for three and thirty years, suffered cold and hunger, contempt and derision, and, at last, a painful death on the cross–let Him not wait in vain! The crime of Judas was increased by the unprecedented baseness of his selling his Divine Master for thirty pieces of silver; but is there not some sinner in this very Church whose darling passion is impurity? who would betray his Saviour for the gratification of the most shameful desires? Is there no drunkard listening to my words who, to gratify his depraved and vicious appetite for drink, would give, if not his own existence, why, then, the lives of his wife and little children? Yes, I say the lives of those whom he is bound to love and cherish, for he is slowly murdering them by his neglect! You, then, O drunkard, betray your Master for a price even more base than thirty pieces of silver! Yes, sinners, by your crimes–be they what they may–you have all betrayed Him over and over again for the basest considerations! Judas betrayed the Son of man with a kiss–the token of friendship and love; and the faithless Catholic would fain pretend to be a friend–an adorer of Christ–while he crucifies Him by his interior life. Judas yielded to despair and hanged himself; but, for the love of God and His blessed mother, I beseech you, poor sinners, let the resemblance between you and the wretched suicide stop before you yield to the temptation of despair! He forgot Mary! Had he hastened to her, and implored her to intercede with Jesus for him, she would, doubtless, have done so, and Judas would have been saved. Do not imitate him in this forgetfulness of Mary. Fly to her; throw yourselves at the feet of the Mother of Mercy and refuge of sinners. Judas did not hear the words of Christ upon the cross: ” Woman, behold thy Son; thy Child.” You, beloved Christians, who have yielded to the tempter’s voice, may listen to them in spirit and in faith. 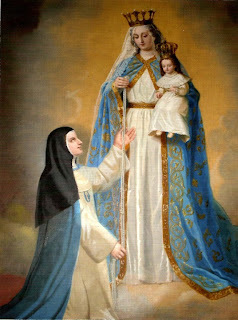 O Mary, Mother of Mercy, grant to my fervent prayer a gracious answer, and obtain tonight for every Christian present here, who, listening to the tempter, has betrayed thy Son, the grace of sincere conversion, that in these days of grace he may be reconciled to God, and no longer be deaf to the voice of grace. Pray for him, O dearest Mother, that, when appalled at the weight of his sins, the demon of despair draws nigh, he may remember the dreadful fate of Judas, and fly for refuge to thy maternal love–the surest haven for all repentant souls. Amen! “Now, there was leaning on Jesus’s bosom one of His disciples, whom Jesus loved.”–John xiii, 23. We all know the four divisions of the day–midnight, day-break, noon, and eventide; and each of them is marked by a special divine fact which speaks in the most emphatic manner to the heart. At midnight Christ entered the world; He was born in a poor stable at Bethlehem; and in the birth of this little Infant we behold the coming of Him Who was the Expected and Desired of nations. At midday was raised aloft the cross by which He redeemed the world. At earliest dawn the Saviour, bursting the trammels of the grave, arose to life once more, and gave to the world a splendid proof of His divine power. But there remains an eventide, glorified indeed through the divine love of the Saviour, which led Him thereon to leave us the most precious, the most sweet, the most consolatory legacy that a God could bestow. It is the evening of Holy Thursday, when the Sacrifice of the New Law was instituted to bless the children of men. Yes, we may all, through the grace of Holy Communion, not only rest on the bosom of our Lord, but receive Him into our hearts. That we may do so with the purity of soul and fervor of love which distinguished the communion of the beloved disciple, let us glance at him as he sat at the Paschal Table on this happy eve. O Mary, obtain for us some portion of that ardent love which inflamed the heart of the beloved disciple toward thy divine Son! I speak in the most holy name of Jesus, for the greater honor and glory of God! To receive the Blessed Eucharist in as perfect a manner as St. John, depends, first, upon the preparation we make to approach the Table of the Lord; and, secondly, on the manner in which we make use of His presence in our hearts, rendering to Him our gratitude after the example of St. John. But, alas! with too many Christians, the first requisite is wanting. Even in the time of St. Paul, as the Epistle for today asserts, many of the faithful did not make due preparation, so that there were frequently communions which, if not unworthy, yielded but little spiritual fruit. St. Paul writes: “Therefore many among us sleep, because they do not judge themselves, before they approach the Table of the Lord, whether they are worthy to receive His Body and Blood; “from which we are to understand that, even if they were not in a state of sin, the coldness of their hearts, and the little degree of fervor they evinced, prevented them from deriving the benefits and graces which were poured forth upon St. John after his fervent reception of the Body and Blood of Christ. I said: “Even if they were not in a state of sin;” but, of course, if the sin were mortal, such a communion would not only be ineffectual, but a fearful sacrilege. That our reception of the Holy Communion, therefore, may be indeed like that of the beloved disciple, it suffices not that we are free from the guilt of mortal sin; but we must leave nothing undone to cleanse our souls from the dust of venial sins and deliberate imperfections. The ceremonies attendant upon the institution of the Most Holy Sacrament, as described by St. John, are a proof of this. Jesus washes the feet of all His disciples; and our Lord’s answer to St. Peter shows that this act is emblematic of the removal of every defect and imperfection from the soul. Therefore, did St. Peter exclaim: “Lord, not only my feet, but also my hands and my head.” But even yet this is not the perfect preparation for Holy Communion. St. John was next to Jesus. This illustrates the ardor and fidelity with which he followed the Lord from the very moment he was called by Him. He was one of those three highly-favored Apostles who were permitted to be in the closest proximity to Jesus, and who enjoyed the privilege of beholding Jesus in His transfiguration on Mt. Tabor; and, even among those three, he was the only one who followed Him to Calvary, and beheld Him on the cross. This feature in the life of St. John–“the disciple whom Jesus loved”–should awaken in us the desire and resolution to make the most earnest efforts to please God, and so become more and more like that Divine Model, and, like St. John, to be faithful unto death. But the generality of Christians care not to follow the admonition of Christ: “Be ye perfect, as your heavenly Father is perfect;” and here we can find the cause of so many tepid and fruitless communions. Should any one ask why we feel so little fear of venial sins and trifling imperfections, I would say: As the fervent love of St. John is wanting, so also are the hunger and thirst of his heart after sanctity, lacking in the hearts of many who go forward to receive the Body and Blood of Christ. Whosoever loveth truly, my dear brethren, avoids everything, great or little, that might grieve or offend the beloved object; and the more ardent the love, the more earnest the effort to please. St. Paul tells us, in the most explicit manner, that there is no communication between light and darkness, between Christ and Satan, between heaven and hell. 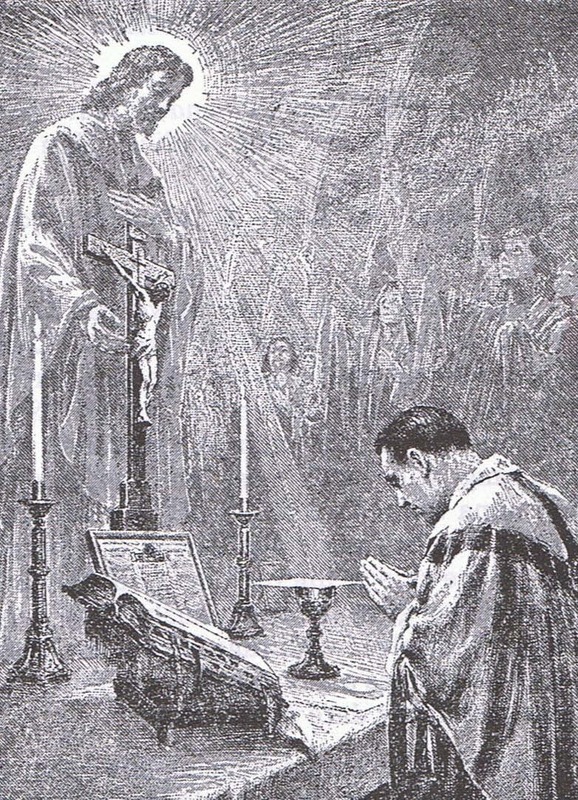 The very ceremonies made use of in the administration of Holy Communion show how essential to its worthy reception is a repentant heart; for the Church has prescribed that the “Confiteor” be recited aloud, so that every communicant may make another act of sorrow for the most venial imperfection which rests upon his soul before he opens his lips to welcome the Lord of heaven and earth into his heart. But what urges us on and strengthens us to emulate the saints in their zealous imitation of Jesus is love. “The love, of Christ urges us,” cries out the Apostle. When this love consumes our hearts, the second condition necessary to receive all those graces and blessings, conferred by a worthy reception of Holy Communion, will not be wanting–thanksgiving. But if it be a sad truth that many approach the Table of the Lord without due preparation, it is equally to be lamented that a still greater number receive the Body of Christ and turn away without a word. This was not the case with St. John. Judas received Holy Communion, and his soul was instantly enshrouded in the deepest gloom of a night wherein there glimmered not the faintest ray of hope; and, after having received it from the hands of the Lord Himself, he arose, and rested not until the purchase-money, for which he had betrayed the loving Redeemer, was clutched fast in his avaricious hand! What a contrast! St. John, absorbed in love and joy, can find no words to express his gratitude. Yes, Judas is also a type of those who receive Holy Communion without a sigh of thanksgiving. With the cold hand of despair clutching his treacherous heart, he leaves the abode of love and peace, and rushes away to satisfy his greed for gold! Behold these models of a worthy and an unworthy communion, and consider well which one shall be your choice! And if, my brethren, you again ask whence arises this neglect, I would again reply: From a want of that love which burned in the heart of St. John. Those who love, long to be with the object of their love. 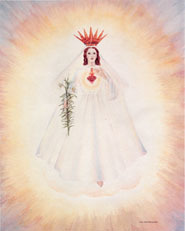 When blessed Armella, whose dearest joy it was to spend hours and hours before the Blessed Sacrament, even when she had not the happiness of receiving Holy Communion, was asked why she did so, replied: “Because I love.” And, beloved in Christ Jesus, by frequently visiting Jesus in the Blessed Sacrament we will grow ever in the love and knowledge of Him. St. John knew and loved Him in a greater degree than the other Apostles, because he was always nearest Him; and, at the Last Supper, his resting-place was the Sacred Heart. Obtain for us, therefore, we beseech thee, St. John, some faint reflection of the ardent fire of thy love, that we may, by lives modeled upon thy own, show our gratitude and love to God; and, when we approach the Table of the Lord, may we taste the happiness which filled thy heart when thou didst receive the Body and Blood of Christ. 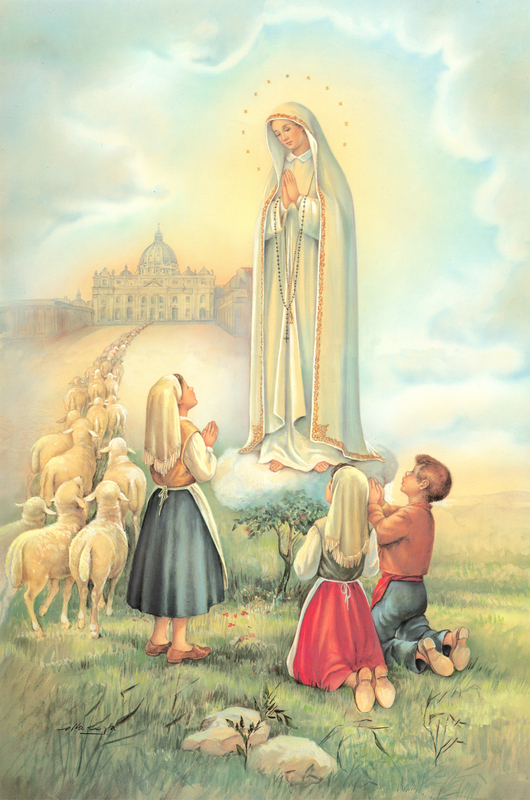 Then will we, while still on earth, already taste the bliss of heaven, to which celestial joy the Church refers when she prays: “Lord, grant that we may forever rejoice in the delight of Thy Divine Majesty, which a worthy reception of Thy Body and Blood will afford us even here below.”–Amen! This entry was posted in Holy Eucharist, Holy Sacrifice of the Mass, Holy Week, Priesthood, Uncategorized and tagged Eucharist, Holy Mass, Holy Week on March 24, 2016 by damselofthefaith.